We love riding horses as a family. 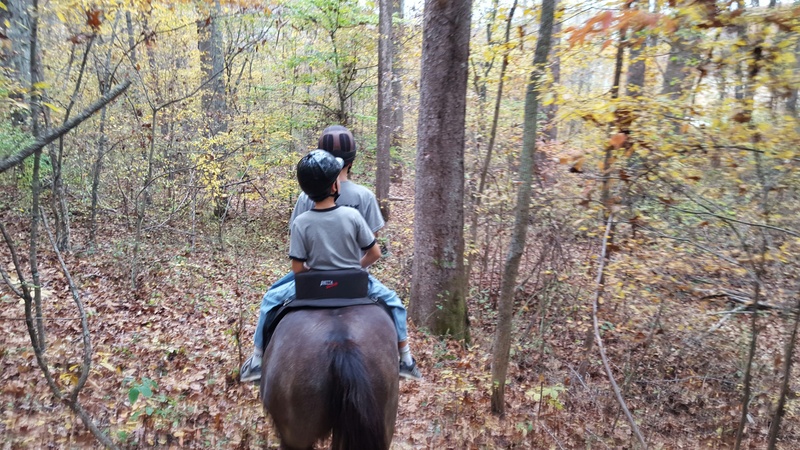 There is nothing quite like a trail ride through the woods. 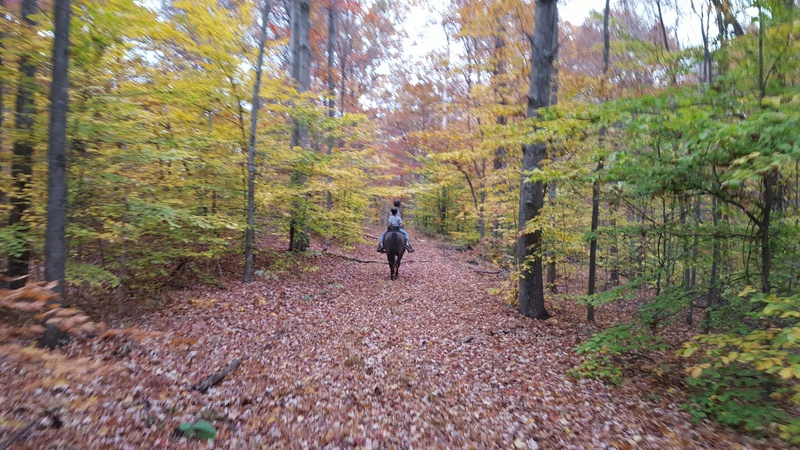 Connecting with nature and your horse while meandering through the woods is truly amazing. 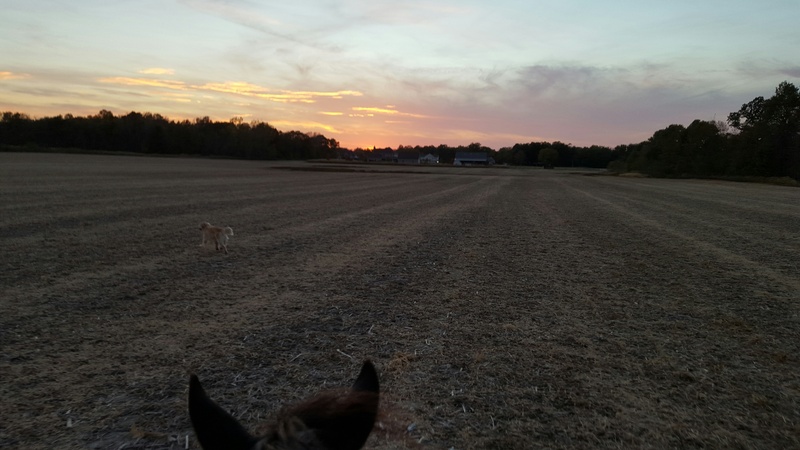 While most of our riding is just around our farm, we do pack up the horses in the trailer and go riding at some different horse trails from time to time. The hills and woods of Brown County, Indiana offer some magnificent trails, particularly in the fall with the changing of the leaves. More often, we ride around our farm. It’s always easier to find places to ride once the crops come out. Many times when I’m riding, I wonder what it must have been like to ride alongside George Washington. Washington was an incredible rider who would take his horse at a gallop through thick woods, over fences, and across creeks. Fox hunting on horseback was a favorite pastime of Washington. He would ride for many hours giving chase to a fox with his dogs and horse in hot pursuit. 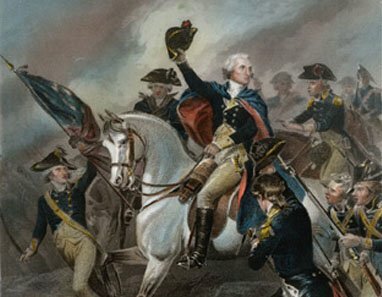 Washington’s horses also carried him into battle. On more than one occasion, Washington charged ahead on horseback into enemy fire, sometimes putting himself in grave danger. 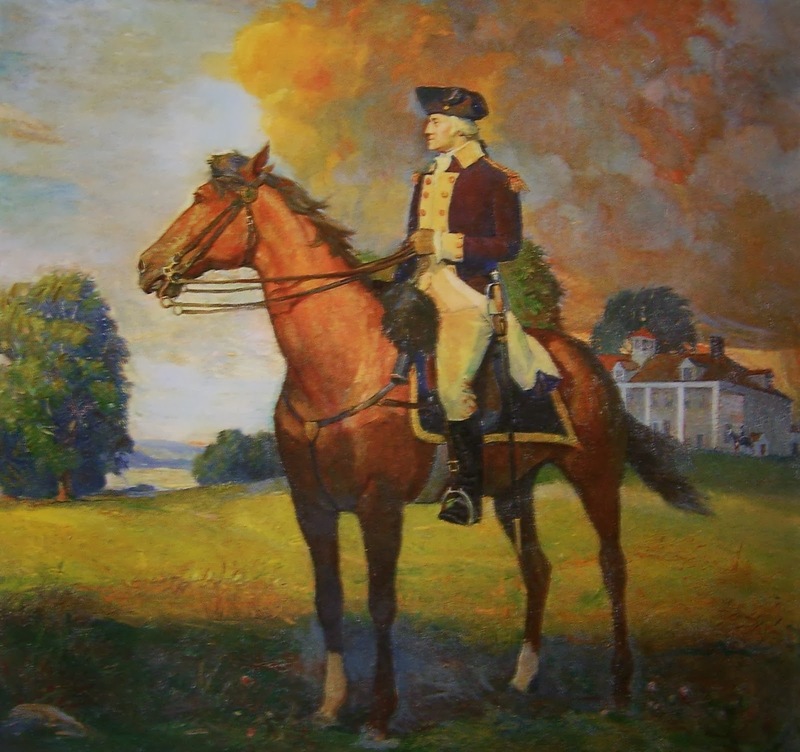 As a master horseman, Washington was always graceful on horseback. He also trained many of his own horses. The two horses that reportedly carried Washington through the American Revolution were named Nelson and Blueskin. Both Nelson and Blueskin survived the Revolution and were retired at Mount Vernon after the war. Nelson had been a gift to Washington from Thomas Nelson of Virginia, and would have been about 15 years old when Washington received him. Nelson was the braver of the two horses, with Blueskin getting skittish around cannon and gunfire. Nelson lived a long life and died in 1790 at Mount Vernon. He would have been 27 years old which is roughly 77 years old in human years. Clearly Washington and I share a love of horses, but there is no doubt that Washington would have been the better rider.